Influencer Highlights - iiaa November 2016 | iiaa Ltd | The UK and Ireland distributor of Environ Skincare, jane iredale makeup and Advanced Nutrition Programme. "...The Institute of Anti Ageing contacted me, they're an umbrella brand for three brands, Environ Skincare, The Advanced Nutrition Programme and jane iredale make-up... They suggested I go on a 100 day reset, which is a very interesting challenge... so for 100 days I will only use Environ Skincare, I will feed my skin from inside with supplements and I will use jane iredale make-up..."
"...It's time for an update on the #100dayreset I've been doing with the iiaa. 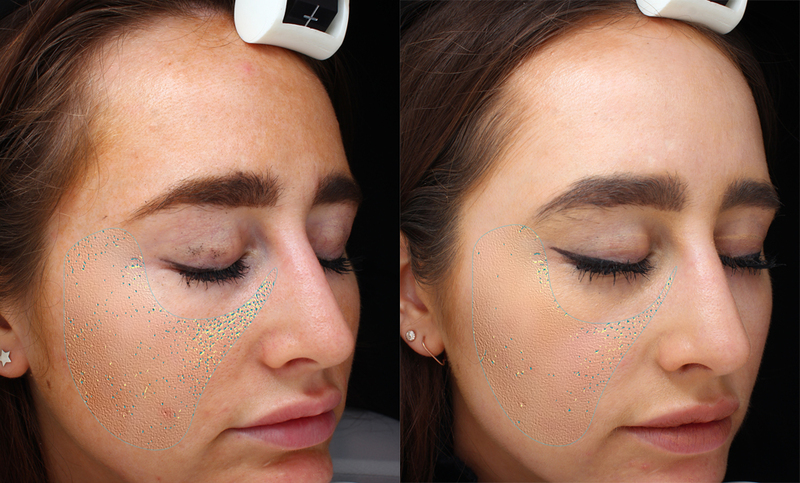 To recap quickly, I've ditched my rubbish old skincare routine for 100 days in favour of using a three-pronged approach with daily ANP Supplements, Environ skincare, and jane iredale mineral makeup, along with weekly cool peel facials at the Skin3 Salon... So this process has been as much about educating about the science behind good skin as well as actually using powerful products... And I have to say I'm far more impressed than I could ever have imagined I would be. After sticking to it, my skin began to get clearer and less congested, and by the end of the first 30 days I had colleagues complimenting my how flawless and clear my skin was looking and asking me the deets of my newly implemented skincare regimen..."
"...So in the first photo, you can clearly see through the yellow and blue dots that the texture is pretty patchy around my nose. After 30 days I was blown away with how much this was reduced, and you can see my general skin looks far smoother with a more even skin tone... See what I mean about being impressed? If that's how things look after just 30 days - not even a third of the way through the #100DayReset - I can't wait to see the results are at the 60 day mark..."
"...So this is my video on Day 30 for my 100 day reset challenge. For anyone who isn't quite sure what this is I've been doing this 100 day reset challenge to sort my skin out and with the iiaa and they are this awesome company which look after three major brands. 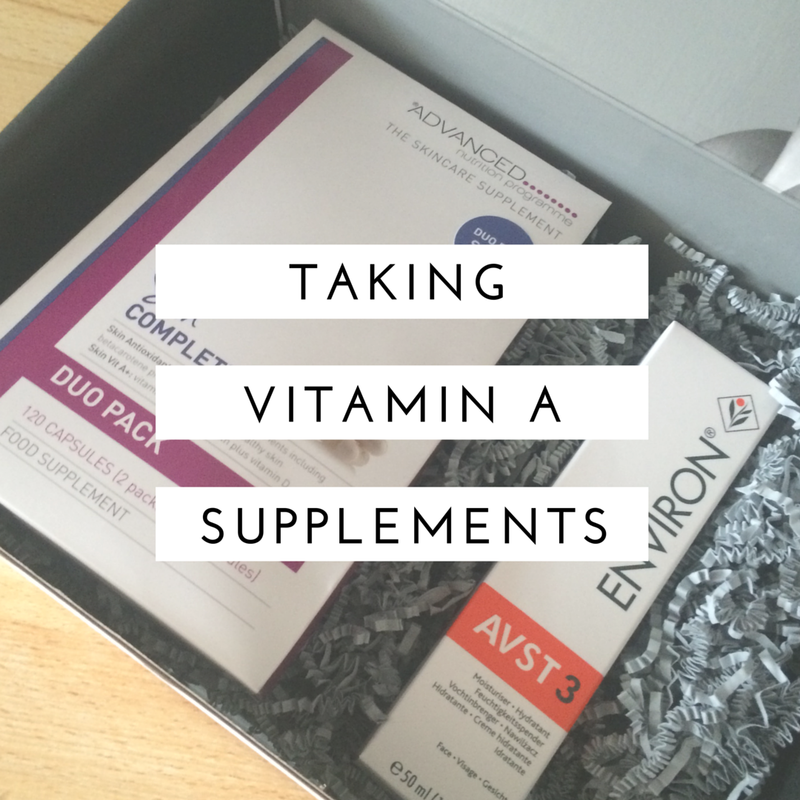 So you've got ANP, The Advanced Nutrition Programme and they are these amazing skincare supplements. They've got Environ Skincare, which has loads of skincare products, and you can make a tailored regime for yourself with lots of vitamin A which is really great for your skin. Then you've got jane iredale mineral cosmetics and they are these amazing high quality gorgeous cosmetics and they're all mineral based, so it's skincare make up which is really great. So they all work together to look after your skin, all inter-linking and inter-weaving... I'm using their products and following their regimes for 100 days to see if I can improve the health of my skin. I've been taking my Accumax supplements 4 of them every single day, I've been following my Environ routine, and I've been using all the jane iredale products... I kept at it and started to see a massive improvement... I've had people at work say to me, your skin looks really good at the minute, and I was like yes this is amazing this means it's working... I had another skin analysis at the Skin 3 Salon... and I was completely blown away... But to see the actual results then and there and to see what's happening on the under layers of my skin that was really great... So fingers crossed it's going to go really well..."
"...I have the Lemon Grass Love Hydration Spray from jane iredale. It's organic and cruelty free. It smells incredible, the packaging is very luxe. Some of the money goes towards a cancer charity which is incredible. It smells so fresh and summery... I also have the Smooth Affair eyes in Naked by jane iredale. It's a very smooth, very creamy eyeshadow that you can apply all over your lid. They do come in loads of different colours which I love because they are just so easy to use."